If you’re interested in making money online and have a question, ask it here! I would recommend first going through the website first as it will help answer any question/s you have. Start here. I understand there are many people who visit this page who have their own specific situations and ideas in mind which they would like to utilize through the internet to make money with. So with that in mind, ask away! I would be more than happy to answer and will respond within 24 hours (usually faster :)). You can also post questions on specific pages and posts that are up on this page. Note: Feel free to leave your question/s but one thing I ask is that you do NOT post links back to a website of yours. I generally do not approve comments which try this. Just leave an email/name and your question, thanks! We’d like it a lot to change our subscription to you. The link we used for our present subscription is from someone we don’t know at all.. we just found it on Google. Is that okay with you? If yes, how can we do that? 1) Because you did register under someone else, I can’t get credit or the commission from you obviously and I would never want to take away or steal someone else’s credit. 2) You are welcome to ask me questions inside Wealthy Affiliate, even though you are not my referral. I am open to helping anyone in the community, but of course my referrals always have to get my attention and help first. 3) If you are indeed having an issue where your referrer (person who got you into WA) is not helping you out and you indeed wish to switch, the only way you can really do that is by leaving WA, and then rejoining it through another IP address and through my site, that will put you under me, but you will have to void any progress and sites you’ve made inside WA to do this. 4) The other option now that I think about it is to contact Kyle, one of the co owners of WA and let them know you wish to switch, and he would be the one to do this, but I’m honestly not very comfortable with this because of the first reason I posted. It may very well be that your referrer is a good person who you simply just need to reach out to be in touch with so they can help you out. Hi Vitaliy. In your experience with SEO, have you ever dealt with massive rankings drops in just a couple of days? I’m asking you this because it happened to me in the past days and I can’t seem to find the cause. I have no manual penalty, no backlinks issues and there was no Google update in that period. My content is also pretty good (1500-2000 and over, words on average). My reviews would normally rank on the first page in Google immediately. I just read lots of articles about rankings dropping and nothing seems to suit to my case. I didn’t have the SSL certificate and someone told me this could be the cause. I kind of doubt that, since I didn’t find any SEO article on this topic. But I really can’t find the real cause, and some of my posts continue to drop each day. I didn’t find anything on your website about this topic, but maybe you can give me some advice. Thanks. More than likely, this issue has to do with Thanksgiving coming up and other holidays. I’ve mentioned to many people who also had this question that holiday events are typically the #1 reason why this happens. I have seen lots of promotion of Wealthy Affiliate, and I understand the free version gives basics, but to learn the real information you must become a premium member with a monthly fee, from which all affiliates receive a portion. My financial situation is currently very grim-I was unfairly fired from my last job in 2008, due to three health conditions, ending a 36 year career as an xray tech. I have been unable to find anyone who will hire me for any job despite hundreds and hundreds of applications. My current age of 66 also likely is a factor. I have spent thousands of dollars and maxed out four credit cards attempting to find an online income source, but all the opportunities I have purchased have been unsuccessful, despite my attempts to research them for scams before purchase. I cannot afford monthly membership currently. My question for you is can one actually make money from the free program? Several other WA affiliates have told me I cannot without the premium membership. I am curious to get your response. The free training within Wealthy Affiliate covers the overall (macro) approach to making money online, while the premium gets into finer details, which I admit does increase the odds of people making money. But at the same time, the person’s success odds depend not just on the training, but also themselves. I run into A LOT of people who join WA without having an open mind, that just want to make money online fast, and I make sure to tell them right away that this is not what they should be aiming for, because then they end up misunderstanding what the training teaches and not doing it correctly, then this leads to them failing and starting over. Believe me, I made that mistake personally when I joined and it wasn’t until I decided not to follow my own preconceived “understanding” of making money online, that I sat down, and with an open mind DID the training, and followed every task and it was instructed and that is what helped me become one of their successful members. This is the message I send to all my referrals and people who aren’t my referrals. Going back to question on making money with the free membership, you will get an overall idea of how it works, you will get sites and tools to get started, and it can lead to you making money, but it will also depend on how well you do the training. They do have a 1 month discount for premium right now, but if you’re still serious about this business, I’d only do the free membership and keep an open mind. You need to understand that while, yes, they do want people to go premium, it’s not just because they want to make money, it’s also because of all the free stuff and services they throw into the mix, that it needs to somehow be paid for on their end and the membership fees of premium do that. They do also provide people with a free trial to their keyword tool which does cost monthly eventually. I hope this answers your questions. On a final note, I want to say that this business is not easy. I am sure the schemes you fell for you in the past promised easy riches and I guarantee these things do not happen unless someone builds a real online business, through hard work first, this is what you can expect within WA in terms of them being honest about it and giving you a blueprint for doing that. I am able to set up sites, sales funnels and make profits faster now because I put in the work initially, but that took me a good few months to get to. Very nice and helpful review about Wealthy Affiliate. My question is, how are you going to support me or anybody who signed up once he is inside? I’m someone who is a newbie in this market. Hi Omar, I detail how I help out people who join Wealthy Affiliate on this page. And even if you are a beginner, it’s OK, I’m providing my help either way. Thank you so much for your meticulous responses on the tons of questions you are asked. I have red them all. I am a French speaking visual artist. Which translates to: writing and composition are absolutely not my forte LOL. Let’s say composition is one of the things that makes me procrastinate. I am a very motivated self-learner and can learn everything I have to from scratch, when I decided 20 years ago to learn how to invest in real state properly. My question is: Is this is something you have to do a lot in WA? If you have a web site, or a blog, or certain themes I guess you have to feed them regularly with new articles or other kind of compositions no? Thank you in advance Vitaliy. I am sure you will find a way to reassure and convince me LOL. Starting a real estate company in your area and making a site in french. Being that you have so much experience in this field, it’s a good place to start. I would like to start an online business and have been reading everything online including all of your content which has been very very helpful. I would like to join WA, but I am having a difficult time coming up with a niche. I am a physical therapist and have a background in fitness with some nutritional knowledge. Any feedback would be most appreciated! 1) How to relieve knee/joint problems. 2) How to heal muscle injuries. 3) How to improve mobility. 1) How to lose belly fat/cellulite/love handles (I’d pick one area of focus). 2) How to get six pack abs. I’d pick one of these options and go through the free training in WA here. Hope this helps! I have a question for you regarding taxes and Wealthy Affiliate. 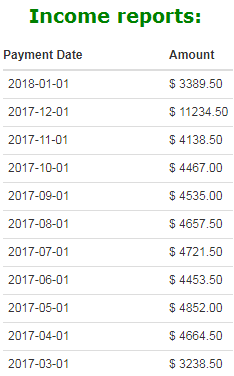 I was able to go full-time with affiliate marketing in 2017 and am a complete idiot. I just went to a tax professional about filing taxes and found I owe roughly $16,000 from my $49,000 taxable income. I didn’t file quarterly like you are supposed to when you are self employed and this is what is really screwing me. I’m just wondering if you have any advice on this. Do many people in this industry report all their earnings? Do you have any tips on deductions? Any advice at all would be appreciated? Hi Kyle, yeah that’s a pretty big problem and unfortunately one I don’t really have a cure for, but it can be improved upon moving forward. Though I am NOT a tax professional, what I can tell you is that if you’re making a substantial income in the U.S through affiliate marketing, in my experience, it is best to open up a corporation to write off more expenses, otherwise, you’re just going to get a 1099 form and have to pay through the roof like you are now. As for your existing issue, I would consult with at least 1 or 2 more accountants to see what options you have. Moving forward though, talk to the accountants about opening up a cooperation, it will really help a lot. What is your take on empower? To me it seems okay. Your advice? Hi Essau! Empower Network isn’t around anymore and I believe the owners switched to another program (I don’t remember the name), but either way, Empower Network was a scam and a pyramid scheme. It was not a program I recommended even when it was around. I still tell people to join Wealthy Affiliate instead, its a safe program. This is going to sound very retro but it is a real situation that I live in. I am located in a mountainous region in the south of New Mexico. There is NO cell service…none, nada. So our ability to join in on a lot of areas of marketing are limited. My question: Do you think this would be a big enough detriment that it would greatly hamper my results? Also, my interest would be in promoting others products instead of creating one of my own – again, would this hamper results? Hi Patricia, there’s a couple of answers to this, and the first is that if you have wifi service in your area, you should be totally fine with working on a website from a computer. You mentioned you have bad cell phone reception, but often times, there’s wifi spots where you can still use the internet so it should be fine. That being said, if the wifi in your area is bad, you can work on your website offline, save whatever work you did and publish it when you have a connection established. The website you run will actually be online 24-7 since it’ll run on servers that are not in your area, but are constantly up so while you may not have a connection in your spot, people will still be able to view your website from any other part of the world. As for promoting other’s products, yeah this is fine and totally a thing you’ll learn about (affiliate marketing) within the program I highly recommend people start from (Wealthy Affiliate). On that program, the sites you make will be hosted by WA so as I said, this will keep it working for you. Well, this page is about candor and I thought I would find a place to ask a question, so I guess this is it. I have tried a lot of things and have had many disappointments and few victories. My question is this, in my niche website, (not sure what that will be) approximately how much money needs to be spent on advertising (I know the value is usually dependent upon the amount of money spent in the beginning, especially for advertising and promotional marketing) and I am sure that your training answers this along with suggestions of where to place ads, hopefully on a penny budget? Just having a site does not mean that it will be successful, because I know that it must be promoted and at this point, I am recovering from a horrible business loss which put my wife and myself in a homeless situation for four months, so I am cautious, yet need to earn lots of money quickly because at age 68, I have more days behind me than I do before me. We have been able to maintain rent for two years now, replaced some furniture, not of the same quality we lost, but I’ve done that basically through spurts of income thru ride share programs and other promos I have marketed through guerrilla marketing, with no budget for advertising because we lost it all, savings, retirement, property, everything except one car. Now we are just like two kids graduating from High School, except now, we have over 40 years experience, LOL! I am a closer, sales trainer and motivator, and have always been able to smile regardless of hard times. Well, I’ll stop now and I really do hope this is the right place that will perform for me and my Bride as we supply quality time investing in this! Thanks for your input, and I did not read all those comments above me, just a few of them, because time is a premium commodity more than ever before, and I try to spend it with that in mind, these days! Hi Lester, I am very sorry about the circumstances you find yourself in. While my recommendation would be to try out a training program like Wealthy Affiliate, my warning would be not to rush anything you decide to do through it. The problem is that when people lose a lot of money or fail in a project, they often try to compensate the losses by going into more riskier projects and ventures, of which the main focus isn’t to create something successful, but to recover the losses and get a profit. This is actually a distraction that often leads people to more failures and why rushing back into trying to salvage losses and seeking to make money fast is a mistake. What I recommend on my site through Wealthy Affiliate is not a project that will pay quickly, but it will work if you put in the time. In all my efforts doing online work, the lesson of taking your time is what consistently has been shown to work. Wealthy Affiliate does have training on paid advertising, with pennies by the way, something that I personally do, but it is an advanced training level that I would not rush into if you do decide to try this program. Do what it teaches in the order it teaches. Would this work for products I like and personally buy through a multi level marketing program? For example, I buy a heated blanket from distributor. I then can either buy more and sell to other people, or get other people to sell it for me. How does referral selling through Amazon work? Do you pay a fee to become an affiliate? Is this the same concept as ebates? I have a Paypal account set up because I rent a room on airbnb. Can I use the same account? Would I get paid to promote airbnb for advertising my site on my own webpage? 1) Yes you can resell MLM products to customers, by either buying them or promoting it such that the customer has to buy from the distributor. 2) Promoting through Amazon essentially works by getting a link to a product you want to sell and having people buy through that link. 3) Amazon’s referral program (Amazon Associates) is free to register for. 4) You can use PayPal if the affiliate program/MLM program allows you to get money through it. Amazon will require you to provide a lot of personal info for example. 5) I did not understand your question on Airbnb. My guess is that you’re looking to see if it has a referral program? Check their main site, they may indeed have it. Great site you got here, love the Q and A facility! As a niche marketer, I have a lot of respect for your excellent site you have got going on here and often consult and check this site when I am not quite sure of something or have a little doubt. My question, how do you see affiliate marketing, with a particular focus on blogging moving and developing over the next 5 years? With larger screen sizes on mobile devices and faster more affordable data plans, I can see things becoming more visual, more multimedia with video being an important or key aspect. Hi Derek, this is an awesome question, which actually gave me a new idea, for which I JUST wrote an article on. Here it is, I thank you for this idea and fully answer your question there. Hey,Vitaliy. I am Sharmine Ida from Wealthy Affiliate. I am sorry for being here. Actually,I am here to ask you if you know any things where to get images free for my website? I am doing my site on losing weight. Thank you. Hi Sharmine, I use this strategy for all my image hunting for my site/s. There are also plenty of good tutorials on Wealthy Affiliate regarding image accumulation and they have a lot of great tips and site recommendations. I check out WA and am thinking seriously about going back to them. I started my free membership and if I decide to go with them again I need to know the referral process so you get credit for my membership. Hi Bruce, I don’t think I’ll get the credit, but don’t worry, it’s good to have you back in WA! Does WA come with keyword tools? Even if I know a niche, don’t I need to know which keywords people are searching for? Hi Natalie, yes there is one in WA for premium members. It is ideal to know your niche’s keywords and honestly, most of them are easy to find without keyword tools as well. I offer a couple of these ideas here! I just wanted to add that yes, WA comes with a keyword tool that is free to use. I have built one particular site using the free keyword tool and it is doing pretty well in all aspects, ranking, traffic, sales and consistent and steady growth. Knowing your niche, as Vitaliy has suggested is key, as is knowing your competition and how well they are ranking, kinda good for inspiration and ideas. Hi Derek, I wanted to add that just yesterday WA released an updated version of their keyword tool Jaaxy and it is something I recommend everyone who does online marketing check out. I’m totally inexperienced in online business. The only thing I know is that the idea of it is very appealing to me for a number of reasons. Wealthy Affiliate sounds like a good place to start. You sound very knowledgeable and helpful too ?. I would like to ask you what are the benefits of joining WA through you since the community is really helpful? Will you give me more guidance and support? I have guzzilion questions in my head? Will I be able to contact you personally if you are not on the WA site? Could you please email me the answer as well (if it’s possible). 1. Can a free member still make money as an affiliate with WAU only and how? 2. As a paid member, do I have a capture page and follow up messages from WAU? 3. Should a new member always start FREE membership or is better to go full paid? 4. Do I need to be paid member before referring new members and earning commission? 5. How old is WAU and how many paid member do they have now? 6. Can I have my own Domain name and Mask it when forwarding to my affiliate URL? 1. Yes, by going through the bootcamp course. 2. Yes you can make customized pages. Followups are handled by WA when someone joins the site. 3. I think it’s better if you start free, then move into paid if you like it. 4. No, you can refer as a free member too and get paid. 5. Over 10 years old and there’s probably about 100,000 paid members. 6. I didn’t really understand this question, but you can buy and own domains at WA and host them there. You get affiliate links and can mask them on your site through something like a pretty link plugin. Thanks for your quick reply Vitaliy. 1. Is the bootcamp course a system that I need to buy as a free member and what is the cost? 2. How much do members get paid for referring paid members and how many levels down? 1. Bootcamp is just one of the 2 main courses in WA and it is for free for the first 10 lessons. 2. I believe it’s $20+ each month. There are no levels down because WA is not an MLM. Now I also erased the part about your website question, but I did understand it better: You can move your website to WA’s hosting if you pay for it, but you can’t change your domain name URL once you purchase it. You can put the affiliate links from WA and any affiliate program within your website though. What is the difference between Wealthy Affiliate and The Super Affiliate Network? I have been trying to get a review up on The Super Affiliate Network, but there’s certain questions I haven’t yet had answered so we’ll see. But from the first thing I saw, there’s MUCH more access and information in Wealthy Affiliate vs that system. Hi, I brought Jon Leger’s Niche Jet Authority about six months ago I still haven’t decided what niche to pick. But because I had a huge problem with one of their products, I decide to ask to ask a refund. Do you think I will have a problem asking a refund? I read I have thirty days to decide. But in my case I want a refund before they even make a site for me. Again can I ask for a refund? Well Sheldon, you did wait a very long time, far longer than the period they allow to ask for a refund. Normally business people do not provide refunds after waiting this long. Vitaliy, I’m helping my mother in law get started with online sales/marketing and came across your site when checking out Home Jobs Now. Glad I found you! Clearly, WA is the focus of your site Do you have any others (#2)? Or are you committed to just this ONE way? Hi Jay, there aren’t a lot of other programs I recommend other than Wealthy Affiliate. For your mother in law who I assume is new, it would be best. Plus there isn’t just one method taught there, there’s MANY, so you get everything there. Hi Margaret, in cases of emergency questions, there has never been a time that I nor WA wasn’t able to assist with it. I don’t do phone calls because it’s a policy that is easily abused by people so I have to stay within the online support aspect. When messaging me, you can either ask someone in WA or me directly, or you can leave a comment on this site which I will see right away. I have an important question. My website was attacked by hackers recently. The damage was not high, they just deactivated my spam shield, so a reset of the spam shield worked. But what if it were something more grave? Due to my free membership limitations, I can’t install any safeguarding plugins. From an internet scanner I got a recommendation to install a firewall, but I am a free member, so I can’t. What can I do to safeguard my site? I don’t have the $19 dollars to buy premium membership. P.S: I found out that free members’ limitations are really harsh on WA. It kind of disappoints me, that while WA is about community, as long as you don’t pay, you are out of the community (as even comments are a premium feature) which brings another question, wouldn’t it be better for a free member to just earn experience in WA, but create the site somewhere, where he can do more? I was thinking about for example WordPress, but WordPress doesn’t allow monetization of free sites. Also, even WordPress wouldn’t solve the problem, since it disallows free members to install any custom plugins too, so not even WordPress would be a good choice. But maybe there are some. Hi Richard, I have to disagree with you on the limitations you mentioned for WA. As you already said, there’s limits on all free sites. From WA’s side, you get way more freedom and opportunity. The only real limit is installing new plugins. But trust me, that’s not a problem. Plugins won’t be able to protect your site entirely from hackers. You can never protect your site completely. I have had this problem before. This happened on a site I didn’t update for a long time, plugins and themes were also out of date. I also had a very old WordPress version up. The site got hacked and I think most of links were said to have problems. What I did was call up my hosting for that site and they had me reset all of my plugins and update everything. Then it seemed to work. I also did download a plugin that scanned for problems and erased them, but I don’t remember the name. But what I recommend doing is: Always updating your website with EVERYTHING that comes up, especially the new WP versions. Anytime a new update shows up, do it immediately. Also consider changing your password every week or so and making it complicated. The more it’s like this, the less likely a hacker will be able to figure it out. Wealthy Affiliate does have this service available for premium members and changes the password automatically. I think there’s a lot of protection there. Updating the site with everything it has is a no-brainer for me. I have latest versions of all plugins and WordPress 4.4. Still it happened that a spam hacking bot managed to crack my password, block the spamshield and even play with its’ settings. Fortunately no great harm has been done. I don’t really mind the theme and plugin limitations, but as my site got hacked, I just lost the feeling of security. The only traffic I am getting is from spam bots, about 30 visits per day now. And now as Google marked my site as hacked, even though there was no real harm,… It was actually hacked though, I can’t deny it. As for WA limitations, I don’t mind them. I don’t mind premium classrooms, premium benefits,premium support premium website thingies, the blog posts and website links (useless feature if you ask me though), the privilege to ask questions,… (Although that one is already questionable) But according to the motto, WA is all about community. So, I should be a member of the community too. But! Newbies ask questions and I can’t help them, even though I want. Because even comments are a premium feature. Somebody thanked me for following him. But I can’t answer back, on my own profile. So I stopped following people, because I don’t want to be rude to them by not answering. Talking is the basic way of communication in every community… Yet I am muted, only because I enjoy free membership. That is what really disappoints me. Am I not part of the community, because I didn’t pay? Or I actually am part of the community, but moved to the edge of the community so that I can’t be seen? I don’t know which one of these is true. But either way I am disappointed as a person. And I will be even more disappointed if you actually delete this comment. Because this comment shows the most basic problem that has ever been on WA, but which cannot be seen by premium members and said by free members. Again this is all a matter of opinion and really experience Richard. You get 7 days to use the chat and talk to people there. You said a lot of the premium features of WA are useless, but if you would have more knowledge of it, you would probably change your mind. Those things make that place ideal. The same applies to the chat when you say you want to help but can’t because you aren’t allowed to anymore. Consider what would happen if every member no matter how new or experienced tried to help everyone. You would get tons of different opinions and this would hurt progress of members. If you let every single person have infinite access to chat, it will definitely become crowded with inexperienced members and you’ll have people who know nothing or little give advice others will think has huge value. This is going to hurt members. I have had to jump into chat or participate in profile discussions when (mostly) new members would weight in on discussions and give advice that is very bad. Premium members do not generally do this when they’ve already had experience with the WA training and know better. With the way WA is right now, I like it and as the stats show, most other people do too, especially free members. I haven’t ever seen new members spamming live chat. I have rather seen questions on the comments section in the course. I think you got me wrong, although maybe I have just expressed myself bad. I haven’t thought too much of several premium features being useless, rather being questionable that they are premium. And the feature that is totally off limits even to testing free members. I don’t really understand why is it like that? Is it to prevent spam bots? I don’t know about that comment link you talked about Richard, but I can tell you that a lot of premium tutorials are not shown to starter members because from the marketing end, it makes premium more interesting to people, but from another side, having WAY too many tutorials confuses beginners so that’s why when you join, you get 2 courses, both similar, but in my opinion, the perfect ones to start from. Then when you learn them and in the premium courses go further, all those other tutorials will make more sense. I don’t really mind that free members have just two tutorial sections. Basically one can learn everything by experience too, not just from tutorials. And if I need something, usually the question has already been answered, so unless it is in a premium classroom, I can even see these questions. If you don’t invest into education, you can’t be shown everything, that is common sense and that is why private courses are so lucrative. I have managed to deal with some of my concerns though. If we concern my site itself, I don’t need much. I need WordPress, I need something to show chess diagrams (initially solved it by an external site) and that’s it. There was no big deal with spam bots, although they significantly increased loading time of my pages – from two seconds it bumped to seven seconds. But as the site got hacked, my spam shield was blocked. Through some script or whatever, but it was blocked. It was active, but not working anymore till I reset it. I couldn’t get over it. No real damage was done, but it is my primary interest to keep my site safe. If we exclude changing passwords, there was nothing I could really do to safeguard my page in SiteRubix. In the end I solved it by moving the content to another host. I sacrificed stability for safety. I gained access to all plugins and all themes, but I used just what I needed. A SEO plugin, a caching plugin to improve loading speed, a firewall plugin to improve protection against both spam bots or hackers, a social links plugin and a chess diagrams plugin. As for the theme, I am staying in 2015, because I am used to it and it is a fine theme. The only real concern left is attracting traffic. I agree with the part about experience but I tried that and it took me a long time to get anywhere. The problem is that when you look around for answers to this business, you’ll always find different opinions and as I also learned, a lot of the industry is still stuck promoting old tactics that don’t work for your site but are just too easy to not promote. But they keep doing it because there’s money to be made in promoting easy routes. I agree you should experiment and learn, but you should also learn from at least 1 website or person that knows it and I think WA is that source. As for the hacking thing, it’s a terrible thing to have happen and there’s always a risk of it, but you can fix it and recover from if it does. Finally the concern you stated about traffic is covered in a blog post I made. Its in part 5 specifically, but I do recommend you read all of it and the other links there. Thanks. Do you consider it as a source of income? I do recall hearing about this program before Sam. I believe it is a PTC network? Anyway I didn’t trust it because of that. I actually came across your site while I was searching for reviews of SBI, which I was considering; until now I had never heard of WA. Anyway, you have sold me on WA big time. And I wish to get started with them through your link so you get all the credit. I am also very interested in your offer to help personally. Hi James, I can indeed help you out within WA! I appreciate you wanting to join through me as well. About the MBA thing, I personally finished with a Bachelors in business and I’ve also got to admit, it didn’t teach me much about owning an online one (nor a real one). I think there’s just some things that school will never be able to teach us for which personal experience and risk taking is required. Frankly, I prefer doing that! Okay, sir, I am in. I tried to find you but I don’t quite know how to search for “friends” yet, so hopefully you can find me. I registered under my real name, so you can find me under the user name “JamesGoolsby”. In the meantime, I will begin with lesson one and get going. P.S. I laughed when you said your business degree didn’t teach you how to run a business online or a “real one”… I totally agree. It would seem all my MBA has really done is prepare me to be an employee in the corporate world which, perhaps ironically, you don’t even need a degree to do. Besides, I have no desire to work for anyone any more. Thanks again. No problem James! I just contacted you and from here, we’ll be in touch anytime. I have all intension of joining with WA, but before I do, I want to find my niche first so that I can use every bit of the 7 days I have to use for help (I know I’ll need it). I will join to the membership in the future but you know the story i’m broke. My question to you is, I’m in Australia i’m sorry but this my be a silly question, but with the websites and finding the niche, who am I directing the audience to, is it the world or is it to Australia. Silly question I guess is just when I’m on google it is AU. Thanks for your time and I love you work, another question but an interesting one for myself. by answering all these questions on your site, does this up you right up there with Google? Hi Donna, niche sites can be localized to show in your country or even city, but normally results are worldwide based on what’s most highly relevant to the search. For example, if I was looking for fitness tips, I’ll probably get results from sites from different countries possibly, but if I were looking for fitness tips or gyms in Australia, the results would be more localized. Hey hypothetical question if i have a million people visit my site, and no one buys anything will i still get paid? If you have ads running on that site. Not the type you host, but ones that are hosted on your site by third party companies and you get paid only when they are clicked on. You CAN also technically make money by selling advertising space on your site and charging those who want their ads to appear to pay you every month. Suppliers in this case could basically be basic affiliate programs or even MLM organizations (I wouldn’t go that route). You can sign up with a number of them, but the safest in my opinion would be Amazon. I say safe because when it comes to hair and fashion products, you’ll find a lot of companies out there willing to pay you to sell their stuff, but Amazon is probably going to offer the most wide range of products to choose from Niesha. Anyway, your goal is to first make a website, then get in contact with Amazon associates and let them know you want to be an affiliate for them. I don’t remember completely, but there is an application process you will need to submit. They may also ask to see your website so it’s important to have one handy. It could be a blog, it could be your own site, but if you don’t have either, I recommend you get one from Site Rubix and use that. Selling other people’s products isn’t the difficult part though, it’s having a website that brings in the visitors that you really need. Do the site rubix site and also try the training from comes with it that will explain how to set up a business so you can sell things. If I’m understanding correctly I get a 7 day free training. After that will I have to put any money into it? The training lessons at Wealthy Affiliate can be accessed for an unlimited amount of time (the 7 day limit does NOT apply here :)). You don’t have to put in any money after the 7 days if you don’t want to. this program do you think I could learn how to run it? Jon I’m not sure if you’re asking about Wealthy Affiliate which is going to show you how to run a business and make it the right way or if you’re asking if you should buy that $1,000 up-sell. For WA, yes, that will help you. For the up-sell, no I don’t recommend buying it. If they didn’t disclose the $1,000 up-sell until you purchased your $299 offer, then whose to say purchasing that $1,000 marketing program isn’t going to lead into another up-sell? These programs use this same up-sell formula over and over. Don’t be dragged down the up-sell rabbit hole. The further down you go, the more money you will lose. By the way, what’s the name of this program? I’d like to do a review on it. I am very interested in WA, but I don’t have a product or any ideas for a product. Can WA help me with this? Also, I signed up, but went no furtuer. Does that mean that my 7 day trial is up. Can I be given those 7 days back if I decide to continue? Hi Deborah, yes absolutely. There are a lot of people who join WA and have no product idea or don’t know what they can sell. This is OK because affiliate marketing is the alternative and most people do VERY well with that. Whether you make your own product or sell someone else’s, WA teaches how to succeed within every scenario. As for the the 7 day trial, it will commence once you join. You would be able to get an extension on the starter benefits (support) if you need more time, but the premium options offers it 24-7, 365 days a year. I want to get this system out of my computer. Please tell me how to do it. At least give me your telephone number. Hi Lorraine, I don’t understand which system you are referring to. Please let me know and I can recommend a course of action. I would like to know if you can give me information in German or Spanish. Although I understand english , I am more confortable with spanish or german. If it’s in regards to this website’s content, you can always use Google’s translator. If you’re referring to Wealthy Affiliate, you can also translate their training. I was wondering if you have heard about The Infinite Leverage System and Click Brilliance products. The program is based on the idea of selling and buying traffic packages as main product. I am very new to this whole online business selling and since I am computer illiterate I need to have someone to show me how to sell online the right way and it sounds like that is what wealthy affiliate does. But back to the ILS system and click brilliance I just want to know if it is legit and can help. I believe I have heard about the first program you mentioned, but never tried it, nor Click Brilliance. If it is what you say, then I don’t believe it’s the “right way” to do business online from the point of view that it may be advanced or just outdated. Rather than assume, I will only recommend Wealthy Affiliate, a program I stand behind completely. 2. I’m ready to work 4 hours everyday to work on this, but I would like to earn atleast 50$ in the first month. Is this possible? 3. Lastly, can I survive on the starter membership for the first 2 months? 1. Yes I think you can absolutely work from there. WA only has limitations on a few countries with high fraud rates and India is not one of them so I think you’re fine. As for working with affiliate companies, some may or may not allow India, but there’s a ton of choices so I’m sure you’ll have no problem finding any. 1 is really all you need. 2. It would depend on the competition of the niche you enter so the answer is yes/no. If it was something competitive like some sort of niche in the dieting department, I would say no and more likely 3 months is a more better estimate. $50 isn’t really the real goal I would strive for. In 1 month, I would focus entirely on building a legitimate business you know visitors can trust. The building is what comes first, then the selling. 3. Not sure what you mean by surviving. The starter membership in WA is free. The 2 websites provided are also free and have no limit to how long you can have them. So I would say yes, you can do more than enough with the starter membership. I think your reviews are very amusing. You have a negative after every positive thing you say about other products, then steer people toward your #1 solution – where you get paid. And even if they buy the product you’re reviewing – you get a commission. How to make honest money online? You’re not very honest with your readers, are you? You are an absolute tool. I mean that, seriously. Sorry you feel that way Brian. I am negative on a lot of products I review but that’s because they really are bad, but my #1 “solution” as you call it is actually free and I don’t push anyone to do anything. You also have to understand that people want alternatives especially after they read about a product review. A “tool” in this business is someone who promotes anything that pays him/her and doesn’t care about what they are promoting or what harm/good it may cause readers. I do care about that which is why in spite of promoting something that pays me less (IF people buy), I still earn smaller commissions and that’s only because I know it works for them. And finally honest money means showing people what really works and them doing things that help people too. This is why you’ll never see me promoting pyramid schemes, MLM programs, scams, outdated make money programs. Please Check this website out, if it is real or fake. I checked the site (EuroMillionaire). It’s a binary options program. I never trust those places Tim. I joined WA affiliate and within a day became premium and I’m going thru the training. Doesn’t seem like WA, you or other members on there are Network Marketing friendly. I do belong to a Net. Company that 90% of the members are customers only with a documented 95% reorder rate. I can make excellent residual income for the rest of my life once I build it up, and I am very honest and also don’t promote anything like MOBE or Empower Net., because I feel like they offer no value. The company I belong to does offer a real product and value. I need help with recruiting products offline and online, I need to offer an inexpensive marketing product for 90% of the people that say no to my main opportunity and WA can’t be the only legit training out there that I can offer, what about a programs like Magnetic Sponsoring, why does it never get reviewed? I’m hearing that it can take 1-2 years to make money with WA. I’m not looking for a get rich quick scam, but I do need help right now with some type of little income coming in. I don’t see any mention on Wa about FB training, T-shirt selling like teespring. Building niche sites and promoting them with keywords can’t be the only legit way to make money online. After joining WA, I almost joined DSD for making some money right now, but I did see your review on that so changed my mind. I am thinking also about MLSP because the are network marketing friendly, teach many ways to market and every successful marketer you ever hear about got their start on MLSP. I also need a real course that updates itself for Craig’s List because I’m also a part time Realtor. I love WA, but like I said I need some small quick cash flow for now, I need help with my Net. Company, I need to master CL for Real Estate. Not trying to go into a million directions here, but I had these commitments before joining WA and I wanted IM to help me with it all and tie it all together because it basically boils done to lead generation. Your advice would be appreciated, I would like to stay the course with Wa, but I need to understand how it can help me with each aspect of my businesses. Thanks, Marco. 1. It doesn’t take 1-2 years to make money with WA’s training. It certainly didn’t take me this long. I saw results within weeks. The only people who take a longer time to see results are usually those who don’t put in the work or who are new to this business. If you apply the training and use it, you should see results within weeks. For more competitive niches, maybe a few months. B) Work at it as often as you can (daily is best). C) Once you see results, continue moving forward and with future projects, you will see even faster results because you already possess the necessary experience. 3. Your company may very well be as good as you say it is, but I believe that most of it is a sales pitch. A lot of MLM companies like to get people into it using those types of sales pitches and from what I gathered, you are new to this business. After all, you did say “I can make an excellent residual income for life once I build it up”. This is the kind of “dream” people are in my opinion brainwashed to believe through MLM and network marketing and I honestly wouldn’t recommend working with them. Sure you can make a ton of money IF you refer an X amount of people under you, but in all honesty, reaching that point is going to take A LOT of time and even if you do, maintaining those people in those business will be even harder. If people start to leave then you could be looking at your business collapsing like a house of cards. This is one of the main reasons I don’t like involving myself with network marketing. That and having prior experience with it as well (didn’t end well). You can absolutely make an excellent amount of money through WA’s training which can be supplemental and even primary income. I personally do this full time and I love it. No need to find people to join under me. People find ME. There is a big difference there! 4. For your question on how WA can help you promote your network marketing company, it absolutely can. WA teaches you how to become successful in internet business using universal tactics. You can apply these same tactics and get people into it. As for the lack of social network training such as using FB, the main training doesn’t cover it, BUT there are classes within the site, including webinars which DO cover it and as a premium member you will be able to find it! 5. About making a quick buck. Unless you possess prior experience in internet marketing or have an email list of people who will sign up under you, it’s going to be very difficult to see fast results and make a quick buck in this business. I’m not saying this to deter you away, but I’m giving you an honest, realistic point of view. The BEST thing you can do is apply the training WA provides you and work at it everyday. Then you will absolutely see results. My website is getting closer to being published, but I have a question about hosting. I am making a website on wordpress and plan on buying a domain. Once I buy the domain, what hosting site do you recommend (from your own experience)? Hey Ryan, this answer differs on how big you plan to make your website. Generally if it’s going to be a website like mine with content that is in text and video, I would use Godaddy and get a deluxe hosting account in which you can have unlimited domains hosted there. It’s about $6 a month. If you plan on having multiple domain names, I would recommend trying Wealthy Affiliate‘s premium membership as they have free hosting for unlimited domains. Their premium membership costs $47 a month ($30/month if you go yearly). Since I have multiple domains, it’s cost effective for me to use them. how to write a book for KINDLE? how to write a book and then publish on AMAZON? Hey Andre, there’s plenty of guides available on how to write Kindle books. You’d have to look at Amazon’s direct publishing website for details on this. As for simple courses, I can’t really name any because I haven’t been involved with this sub niche of the online marketing world. 1. A niche audience (people looking for something specific). 2. A website aimed at this niche audience. 3. You’d need to collect an email list on that website. 4. You would then be able to sell your Kindle book to this audience. 1. My niche is helping people work from home using online marketing. 2. I create a website designed for this. 3. On my site I offer up a free guide to helping people achieve this. But in order to get the free guide, they’ll have to sign up to my email list. 4. I then collect a massive email list, then write up a Kindle book on say a step-by-step guide to succeeding online from home and sell that book to my list. 5. This is a likely scenario to play out: If the email list I collect buys the book, I can rise in the rankings of Amazon’s best sellers and attract more customers. You need proper guidance and training on how to do all of this. Honestly, Kindle books aren’t expensive and to make money through the internet selling them in any other way other than what I mentioned above will not yield a good profit margin. You’re much better off in the short/long run making a website, focusing on SEO and direct selling your own product there OR doing affiliate marketing. There’s way more money to be made in this process. I would recommend you check out my #1 recommendation as they get into the fine details of doing this. what are your thoughts on Wasanga? Thank you for bringing this to my attention Fernando! I’ve never heard of the company but just took a quick look. Most of the stuff is in Spanish. I translated the page and will examine this place further. However, from what I see thus far, it’s an MLM and my opinions on such programs aren’t very high. I’m actually going to be writing up the main reasons why I recommend staying away from MLMs. Perfect thanks. Look forward to reading your response. WA is very juicy so far! me again. What do you think of John Chow’s MOBE or FundMOBE? I’m glad you asked this questions because I actually reviewed both John Chow’s product & MOBE. John’s blogging product is decent and I rated it in the green area, but MOBE is seriously one of the BIGGEST scams I have EVER seen. It’s even worse than Empower Network because it’s a program build on essentially nothing but overpriced training ranging into the $10,000’s and the fact that John Chow actually promotes MOBE has truly made me lose a TON of respect for him. I feel he’s a sell out doing this. Here’s my review on MOBE. Thanks a million Vitaliy, I can learn a lot from you.